Directions: HWY 17 south from San Jose. Take the Los Gatos-Monte Sereno (HWY 9) Exit. Turn left on N. Santa Cruz Avenue. Go three blocks to Nicholson. Turn right to the start/finish. Parking is available in the VTA Park n' Ride on Hwy. 9 next to Chase Bank. 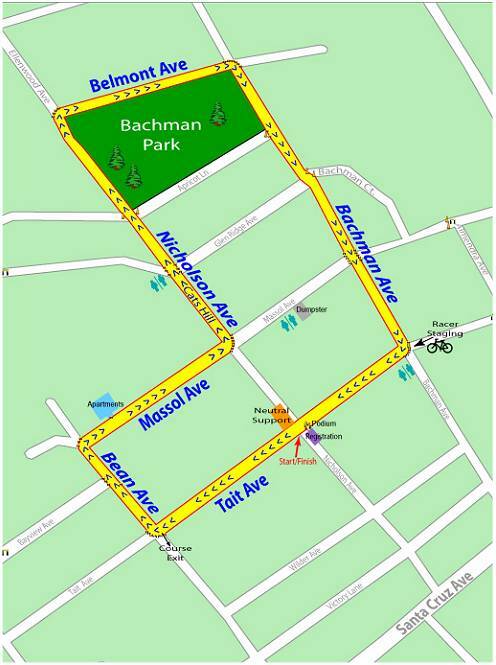 Other parking is available in neighborhoods outside of the course. west of North Santa Cruz Avenue, the main street of Los Gatos.